In mindfulness, we are talking about a sense of an expanded present. Our protestations, our clinging to the past, our efforts to control the future may arise, but they are strongly attenuated by remembering to simply be with what is. We drop through our reactions to a space of profound, grateful connection – that is love of life itself. Always keep in mind that in reality, what we might have in this moment with a friend, with a place, with a dance, with a poem is the one more time. 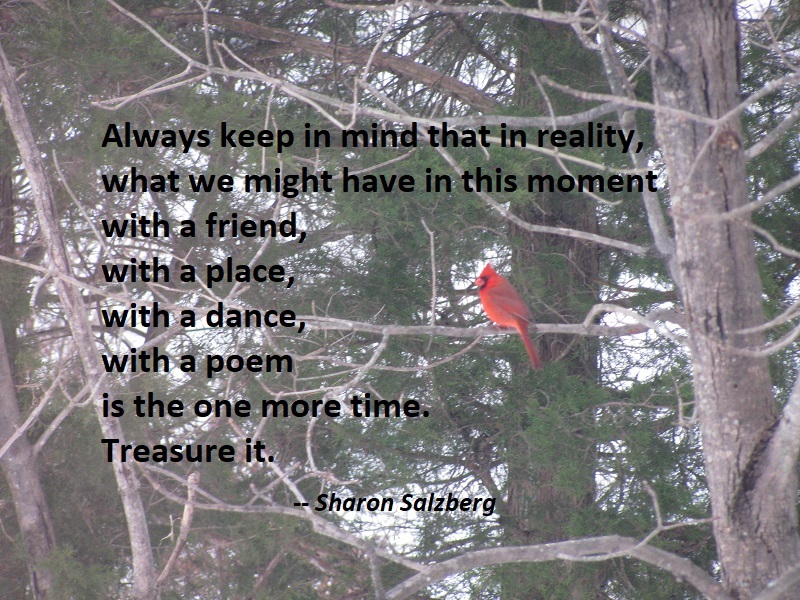 Treasure it. The more you take things personally, the more you suffer. You observe it, hold it up to the light, release it, and move on. One can choose to let suffering be the elevator to a heightened place of humble loving. You adjust the knot on the red string around your wrist and find your center again. Humility returns the center of gravity to the center. It addresses the ego clinging, which supplies oxygen to our suffering. It calls for a light grasp. 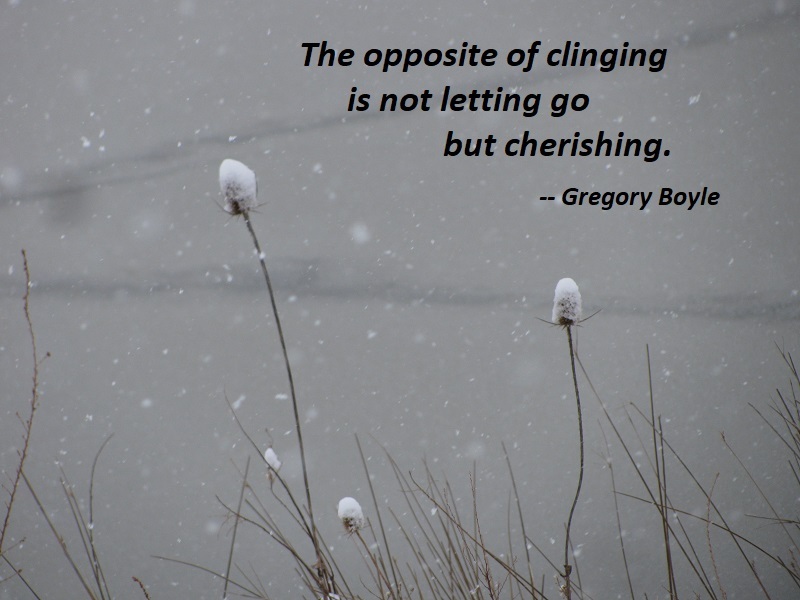 For the opposite of clinging is not letting go but cherishing. This is the goal of the practice of humility. That having a “light grasp” on life prepares the way for cherishing what is right in front of us. The world is full of things to appreciate and find beautiful. 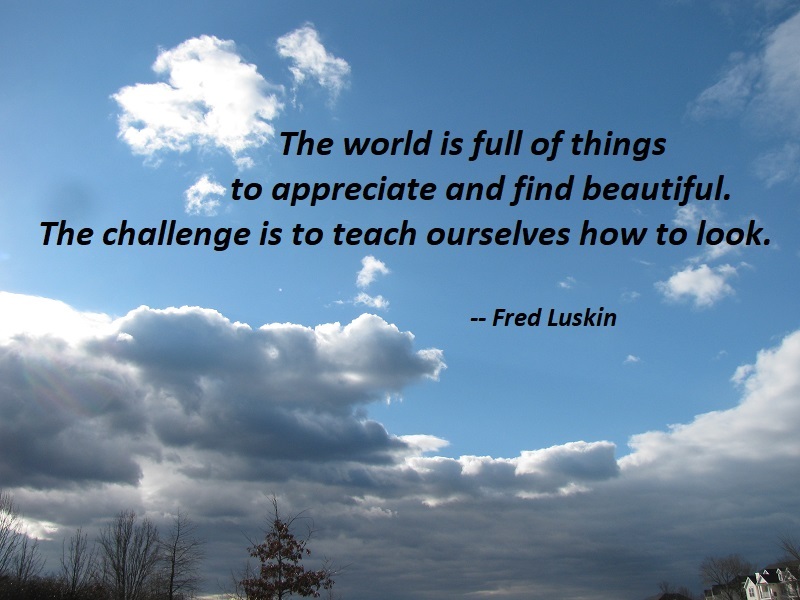 The challenge is to teach ourselves how to look. The forgiveness and gratitude channels remind us that even though we have been hurt, we do not have to focus our attention on that hurt. The love and beauty channels remind us that in each and every moment we have the choice to determine what we see, hear, and experience. The one thing no one can take from us is where we place our attention. In other words, we alone control our remotes. If we have made a habit of tuning in to the grievance channel, remember that any habit can be broken. The duty to delight is to stare at your family as they eat, anchored in the surest kind of gratitude — the sort that erases sacrifice and hardship and absorbs everything else. Jesus says, “My ways are not your ways,” but they sure could be. In the utter simplicity of breathing, we find how naturally inclined we are to delight and to stay dedicated to gladness. 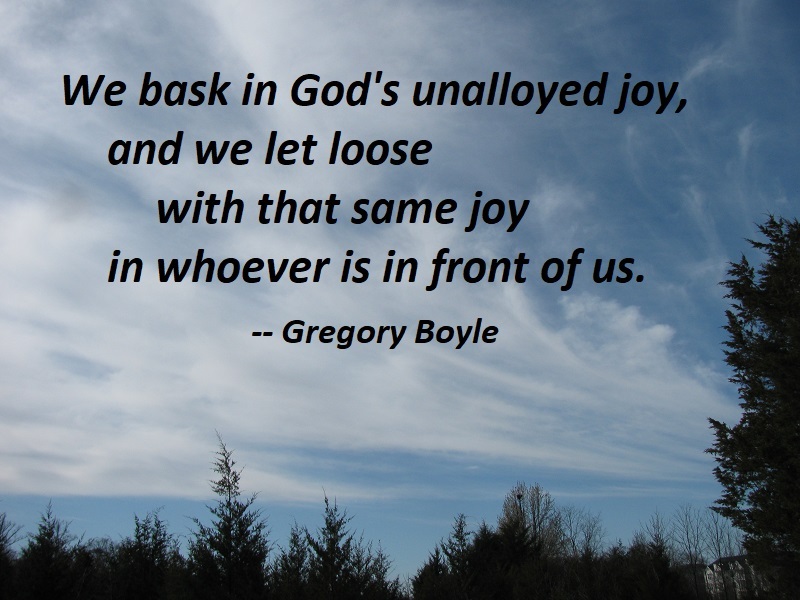 We bask in God’s unalloyed joy, and we let loose with that same joy in whoever is in front of us. We forget what a vital part of our nature this is. 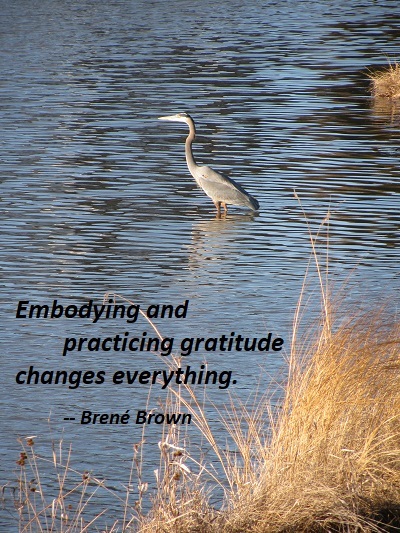 Embodying and practicing gratitude changes everything. It is not a personal construct, it’s a human construct — a unifying part of our existence — and it’s the antidote to foreboding joy, plain and simple. It’s allowing yourself the pleasure of accomplishment, or love, or joy — of really feeling it, of basking in it — by conjuring up gratitude for the moment and for the opportunity. 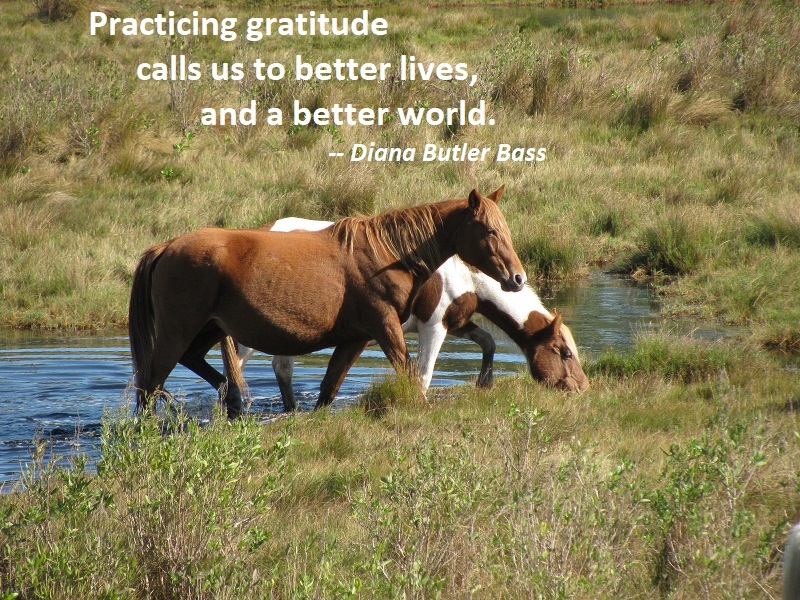 Practicing gratitude calls us to better lives, and a better world. And begin before you are ready. Even when a million reasons to not feel grateful stand in your way. That is when gratitude is at its best. It took me one hundred days to understand this. My husband observed, “You know, gratitude saved your life in the midst of all the chaos.” He was right. Gratitude became both my refuge and my rallying cry. It made a huge difference. Trust me. Gratitude empowers us. It makes joy and love possible. It rearranges the way we see and experience what is all around us. 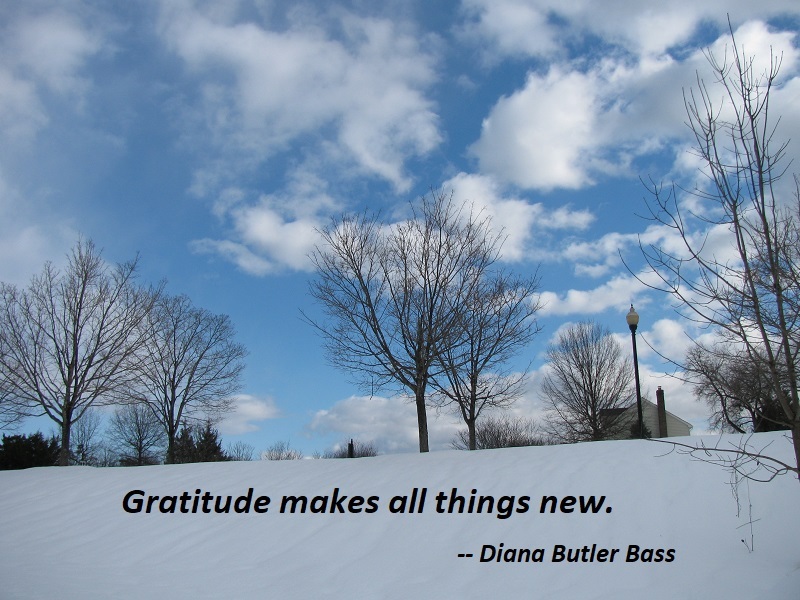 Gratitude makes all things new. It transforms how we understand what is broken and gives us the ability to act more joyfully and with hope. That is why gratitude is central to all the world’s religions. As a practice, it embodies the wisdom of humanity’s greatest spiritual teachers: the love of neighbor. Gratitude takes us from abstract belief to living compassion in the world. Gratitude is strongest, clearest, most robust, and radical when things are really hard. Really hard. All-is-lost hard. 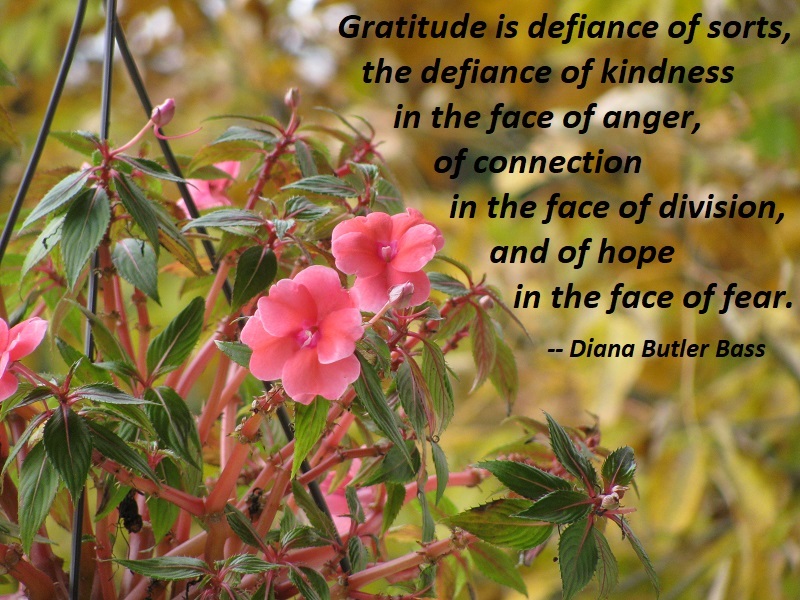 Gratitude is defiance of sorts, the defiance of kindness in the face of anger, of connection in the face of division, and of hope in the face of fear. Gratefulness does not acquiesce to evil — it resists evil. That resistance is not that of force or direct confrontation. 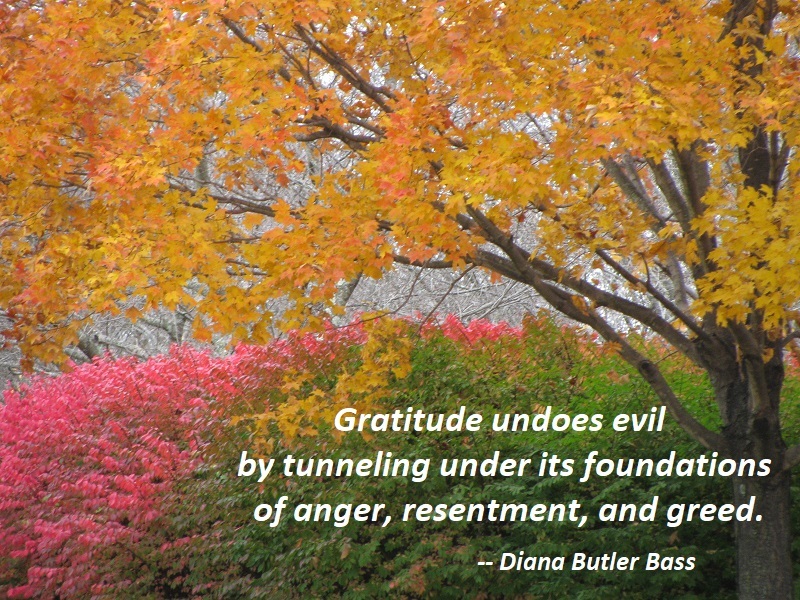 Gratitude undoes evil by tunneling under its foundations of anger, resentment, and greed. Thus, gratitude strengthens our character and moral resolve, giving each of us the possibility of living peaceably and justly. It untwists knotted hearts, waking us to a new sense of who we are as individuals and in community. Being thankful is the very essence of what it means to be alive, and to know that life abundantly. Not only should we give thanks in all things; we can give thanks at all times. 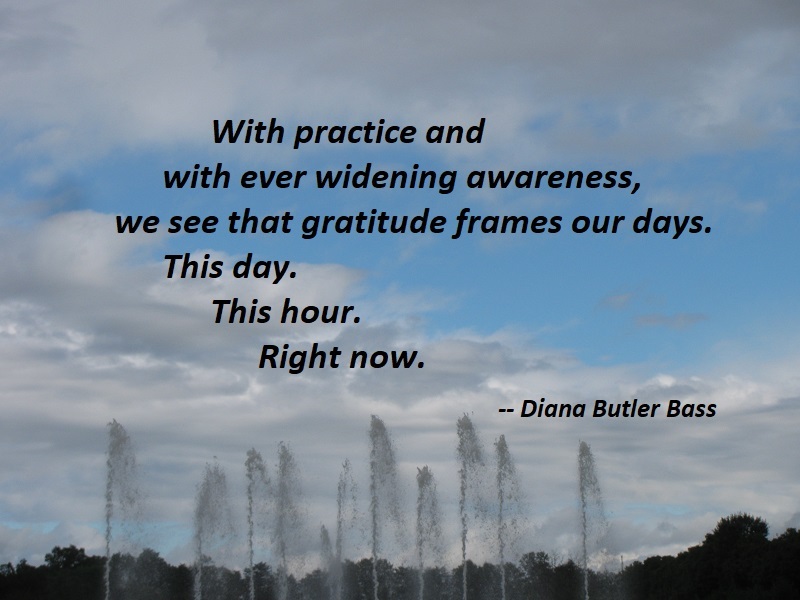 With practice and with ever widening awareness, we see that gratitude frames our days. This day. This hour. Right now. Today, look at who it is you love. 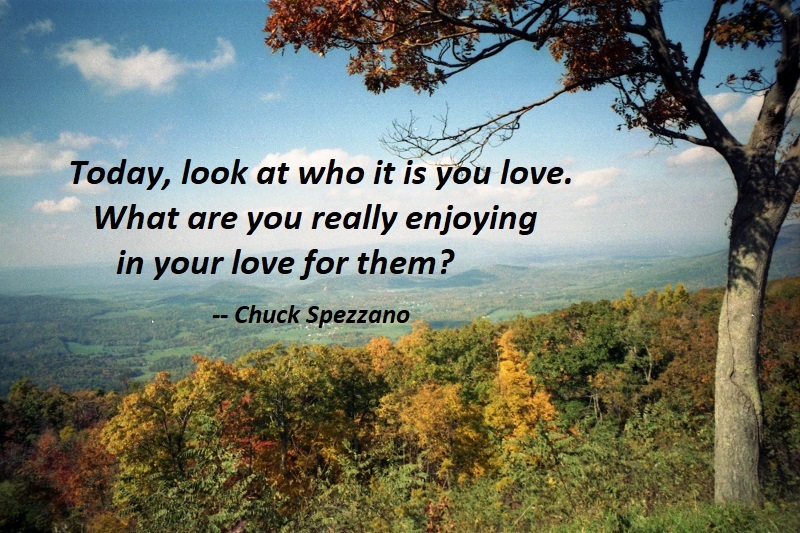 What are you really enjoying in your love for them? Allow yourselves to feel your natural gratitude toward this person or situation. Gratitude allows you even stronger resonance with the very gift you are experiencing. Your gratitude not only opens the door to love, it increases love. You are currently browsing the archives for the Gratitude category.